Home » News » What Were Those Green Berets Doing in Niger? 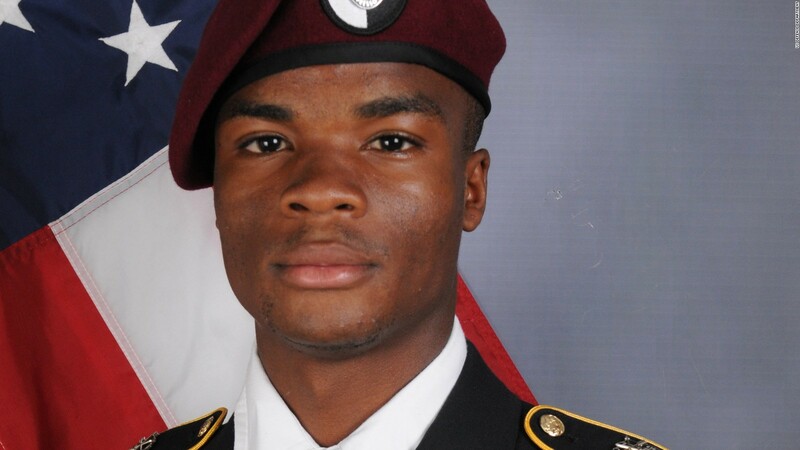 Sergeant La David Johnson died in combat in Niger Oct. 4. After four American troops were killed in Niger this month, President Donald Trump faced backlash for telling the widow of one of the soldiers that her husband “knew what he signed up for.” Since then, questions have been raised about the U.S. presence in Niger. • Why are U.S. troops even there? Niger, bordered by Chad to the east and Mali to the west, is one of the largest countries in West Africa. U.S. troops are there as part of a counterterrorism mission. They are training Niger’s military to help fight Islamic extremists in neighboring countries, including Mali and Chad. Local Al Qaeda and ISIS groups have established transit routes through the country that are transporting fighters between north and Sub-Sahara Africa. • How long have U.S. troops been there? In 2013 President Obama ordered 150 U.S. personnel to set up surveillance drone operations that would fly over Mali from Niamey, the capital city of Niger. They were there to assist the French military after Al Qaeda took over the northern part of the country. There are now approximately 800 U.S. troops in Niger. That’s the highest number there in recent years, but the U.S. has had a presence there for the last 20 years, the chairman of the Joint Chiefs said in a briefing this week, according to the Military Times. Most of the 800 are working as construction crews to build a second drone base in the northern desert area of Niger. The remaining troops are aiding Niger’s military to better stand against terrorist groups. • How were the troops killed? There is still confusion about what happened in the Oct. 4 attack. Pentagon officials confirmed this week that 50 ISIS soldiers ambushed U.S. special operations forces and Nigerien troops as they were leaving the village of Tongo Tongo after an overnight reconnaissance mission. A New York Times report said that the four U.S. soldiers became separated from the larger group and by the time reinforcements arrived, the bodies of three of them were found. For reasons still unclear, the fourth soldier’s body was not recovered until two days later. Five Nigerien soldiers were also killed in the attack. Two U.S. troops and six Nigeriens were wounded. • So what happens now? The Department of Defense is conducting an internal review to figure out what went wrong during the mission. Military and Pentagon officials briefed the House and Senate Armed Services Committees on the investigation this week. Lawmakers said many questions remain unanswered. Pentagon officials said they have already tightened up operations in the region, but operations are paused until the review’s findings.